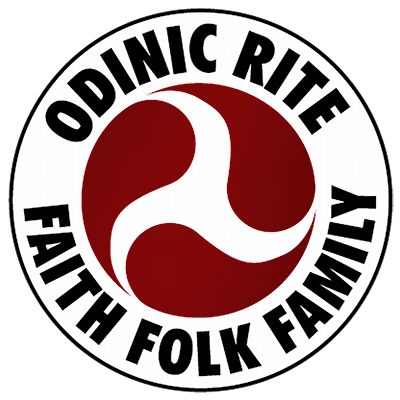 My path to Odinism has been gradual, and probably one that has taken most of my life up to now without even realising that I was any kind of journey. Science was my bedrock of understanding, although I had always felt that something more existed in this universe beyond the comprehension of man, but I was never able to form an opinion of what, or who, it was. I am still scientifically minded and indeed the greater my knowledge of science grows, the more my belief in a divine element within our universe grows. The more I study the ancient knowledge of our forebears and the more I read and hear the opinions of fellow Heathens with far more experience and knowledge than I have, the more things seem to connect. Of course there are questions, and I don’t fully understand things, but that is part of growing. I have always had a keen interest in history and it was through this that I originally became acquainted with the beliefs of our ancestors. I read the stories of Thor, Odin, and the various adventures of the Gods. It was enlightening to find that people in Northern Europe had a mythology just as rich as any in Greece, India, or China. But I did not see them as my beliefs. At the time I had no knowledge that the English had originally venerated the same Gods as the Vikings. England had seemingly always been a Christian country, although with its own peculiar variation. It was only through later study that I came to realise that the stories of the Scandinavian peoples were our stories as well, that my people shared the same beliefs as the Scandinavians and the other Germanic peoples. Sure there were differences, but there was undeniable links of relatedness. In many ways this realisation was a catalyst. I had always been something of an outsider but broadly followed convention. I had been a disciple of popular “wisdom” and believed in the doctrines of “popular” culture. But now I felt something new and different, a sense of identity. I recognised, at last, the nagging feeling I had always had within me that I was not following the right path for me and that if I did not change then I had a very sorry existence ahead of me. I still did not believe in the Gods, or indeed anything concrete, spiritually, at all. My beliefs were shallow and open to the slightest whim, but I began to question and to gain understanding. The more I opened myself up to the world and wished to understand the more I began to see the mark of the Gods. I bought my Mjollnir in December of 2004. It was not a religious statement, more of a statement of identity. I was reclaiming my heritage, which had been long denied to me, largely through my own fear to embrace it. One day I was browsing the religious section of my local bookshop. I spied on a book of Norse mythology. I bought it, took it home, and began to read. As I said above I had some knowledge of the mythology of our Gods, but nothing detailed. The more I read the more I began to see past the stories to the wealth of knowledge underneath. My opinion of the Eddas is that they are probably not a good guide or do justice to the awe that our ancestors would have held the Gods in, but they were still a fount of knowledge for someone like me who wished to learn about the old stories. It seems to be common that many of us have a dream about the Gods. Well I was no exception. Sometime later I had a dream. In it I was at home sitting in my garden, I think I was sleeping. I heard a hammering sound. I got up and went to find out what the source of this noise was. My garden was a lot larger than in reality and following the sound of hammering I came upon a man with his back to me standing before an anvil. I was about to approach him when I felt my hammer around my neck grew hot. The side of my face was also warm and as I turned to look for the source of the heat I saw a rune, and that was it. I cannot remember what the rune was, it was a fleeting glimpse, but I know for certain it was a rune. This dream shook me because of its vividness and the fact that I rarely recall dreams. The rationalist in me said you have been reading myths for the past few days, and now you have had a weird dream, see the connection?? And maybe it was a fair observation, but maybe the Gods connect to us through our dreams? After all the old faith had stirred something within me that I did not understand, but undeniably felt right, so maybe this was just confirmation of coming back to my roots? That was roughly the time that I decided to commit to the Elder Faith, a decision I had been weighing up for some time before. A few days later I went out into the Peak District on one of my usual hiking trips and made my pledge to the Gods to follow their ways and accept their council. It was a decision that a year or so before would have seemed strange for me. I had never really committed to anything, I had never really believed in anything enough to do so, yet it felt right. I could say that without any shadow of a doubt in my mind. It was the first step on a process of change for me, and how I looked at the world. I still have no clear idea of what the Gods are and my beliefs shift from some form of advanced physical and spiritual species, to a dimensional force, to a manifestation of our consciousness that has gained sentience. Who knows? I still do not, and probably never will, understand all of the nuances of our ancestor’s beliefs. Like Woden we are all searching for wisdom and answers, and one thing about our faith is that we have the courage to say we do not know. UK Folk Camp 2256 White Horse Stone Victory!